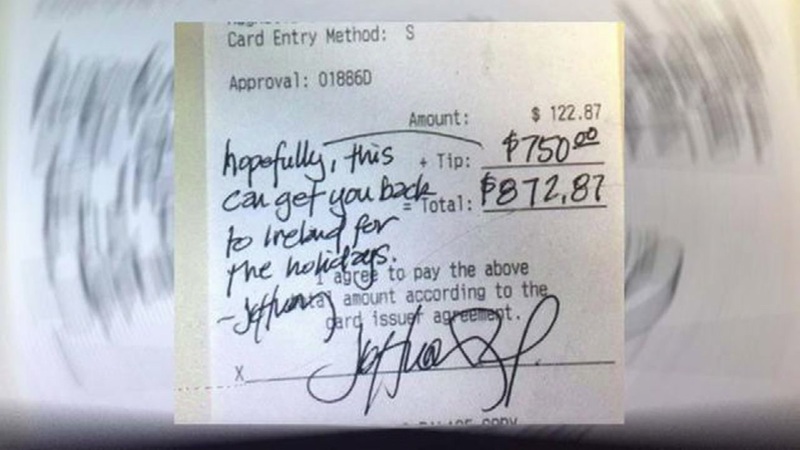 A Luby's waitress received a generous tip from a customer this week. HARRIS COUNTY (KTRK) -- A local Luby's server got the tip of a lifetime from a stranger, proving sometimes the holidays bring out the best in people. Chastity Rodriguez works at a Luby's in northwest Harris County. Last Saturday, a routine shift became unforgettable. "That was just a real blessing. I want to say thank you to whoever you are out there. It was very needed and appreciated," said Rodriguez, who raises her 8-year-old granddaughter. Rodriguez says an unassuming woman in a ball cap sat in her section with a tray of pinto beans, cornbread and yams. Rodriguez checked on her several times, offering her a refill and a to-go cup. There were coins already on the table, and Rodriguez assumed they were her tip. Then, the woman handed her an envelope with her name on it. When she opened it, she found a typed note that read, "This is for you in your time of need. God bless you," along with $1,000 in cash. "I fell to my knees and I started crying. I couldn't believe it," said Rodriguez. Rodriguez says it could not have come at a better time. She was not sure how she was going to pay this month's bills until that day. 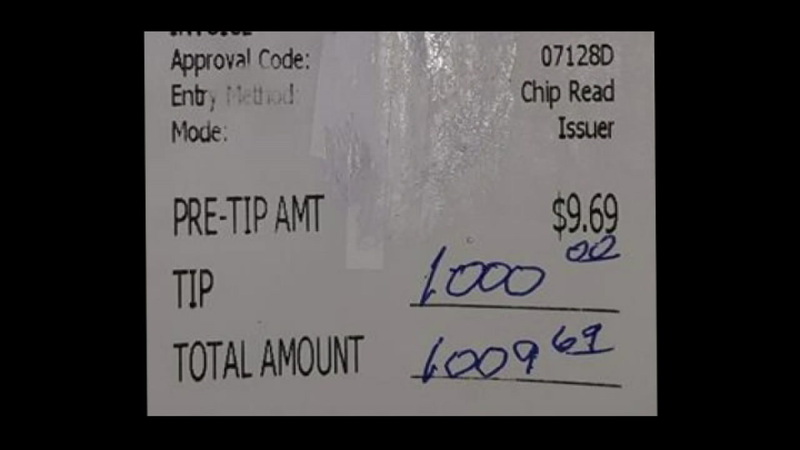 A customer eating alone in an East Texas restaurant left a big surprise behind for an 18-year-old waitress - a $1,000 tip. "I've been praying a lot. We've been going through a lot of things. This really helped out," she said through tears. Rodriguez says the generosity has reminded her to never lose faith and that sometimes blessings come from strangers. "She is an angel. She is a real angel."